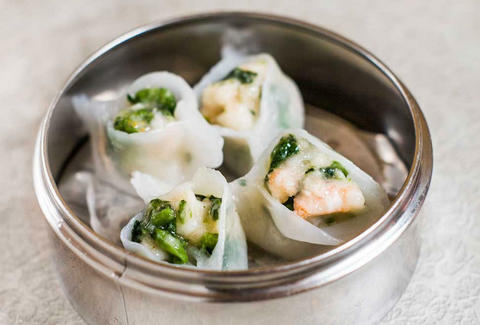 Choosing a favorite dumpling at Wilson Tang’s revived Chinatown tea house ain’t easy, but these open-faced beauties edge out the rest with their generous filling of fresh shrimp and leafy greens, plus the translucent, nearly melt-in-your-mouth wrappers. Unlike most of Manhattan’s Shanghainese restaurants, the xiao long bao at this St. Mark’s newcomer (sibling to Flushing’s Kung Fu Xiao Long Bao) strike the perfect balance. The wrapper is delicate, yet strong enough not to pop under the weight of the broth-y filling. Dig into these babies as soon as they arrive -- it’ll be well worth the scorched tongue. Noodles may get top billing here, but this dumpling soup is no quiet sidekick. With plump pork wontons submerged in a spicy, tangy broth that’s a trademark of China’s Yunnan province, the bowl nearly upstages leading actors like the restaurant’s signature crossing bridge noodles. 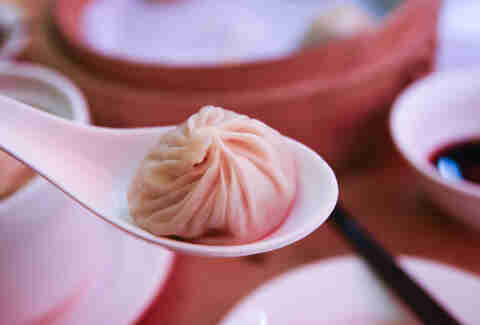 Think of these as xiao long bao on steroids -- just like soup dumplings, the filling of sheng jian bao LITERALLY explodes with pork juices, but the sturdier wrapper holds up to some serious pan-frying. 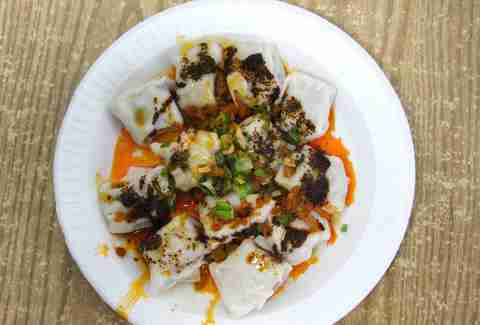 These vibrant, all-veg dumplings easily hold their own against their more well-known, lamb-stuffed siblings. Jam-packed with chopped spinach and bouncy vermicelli noodles, the hefty bright green bundles arrive in a bowl of vinegar-spiked chili oil that brings just the right amount of heat to the entire affair. 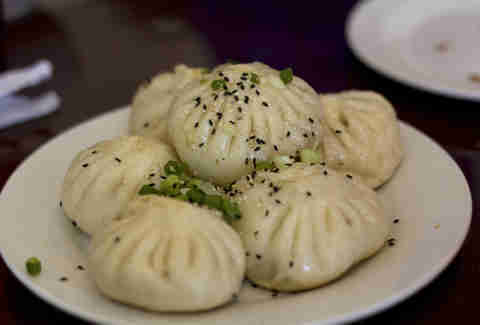 Between her two restaurants, dumpling maven Helen You churns out more than 100 varieties, but it’s this must-order classic -- tender pockets filled with gingery minced lamb and sweet summer squash -- that remains tops in our books. This serious momo specialist is tucked in the back room of cell phone store Tibet Mobile, and from there they dole out basket after basket of Himalayan dumplings made from hand-rolled wrappers and fillings like spiced beef or wild chives. Load on the house-made sauces and you’ve got yourself a deliciously doughy flavor bomb. 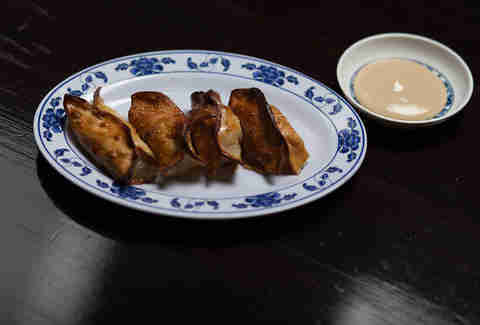 Dale Talde’s new-school riff on classic potstickers combines two food groups we love: pretzels and pork. The genius hybrid features a traditional Chinese filling, but its chewy, salt-speckled casing is entirely New York. Perhaps the neighborhood’s most talked about dumplings, these floppy wontons deserve all the praise and then some. 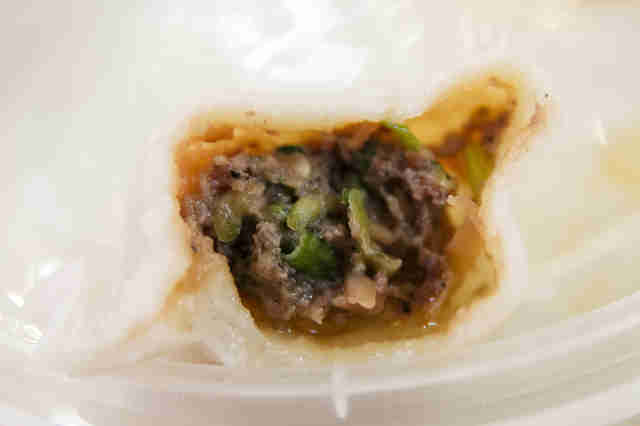 The silky-skinned parcels -- stuffed with pork and vibrant greens -- are excellent on their own, but reach a whole new level of dumpling greatness when smothered in house-made chili oil, pickled vegetables, and fresh scallions. 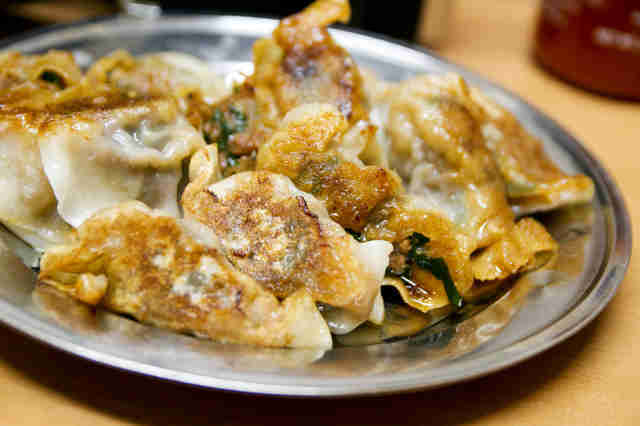 Chinatown’s dollar dumpling joints have nothing (other than the whole dollar thing) on this East Broadway noodle house, where the metal platters of thin-skinned potstickers always come out perfectly crisp and bursting with succulent chunks of chive-studded pork.